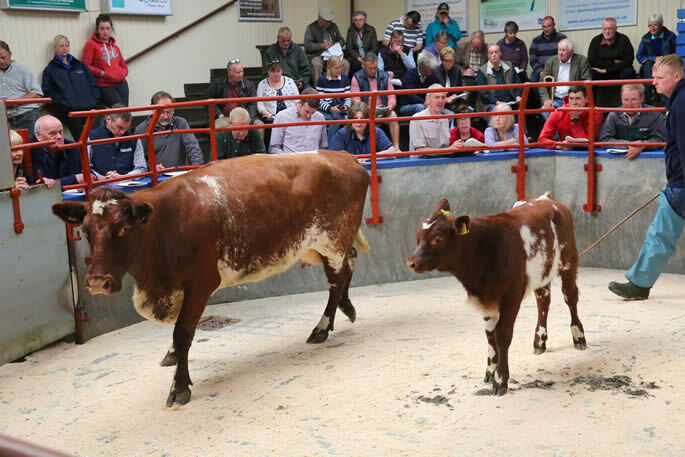 C & D Auction Marts held their inaugural sale of Beef Shorthorn females at Longtown on Monday 21st August 2017. 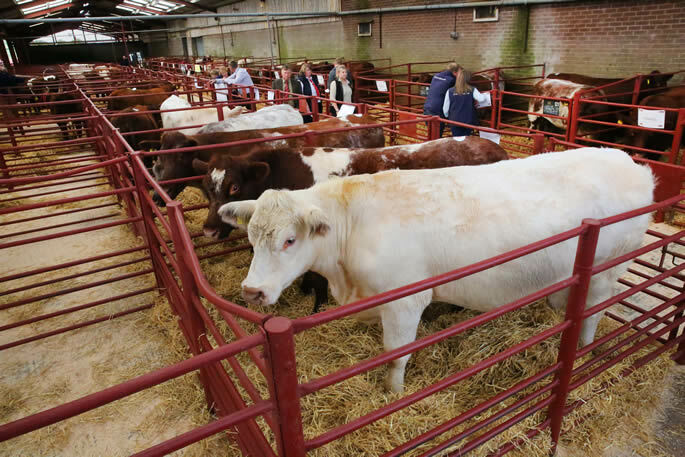 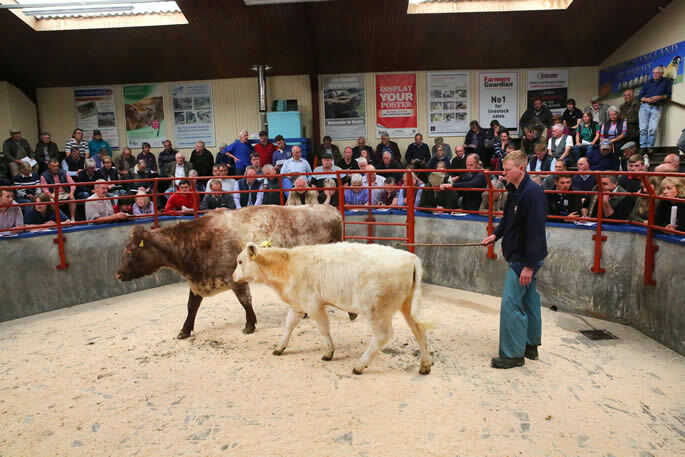 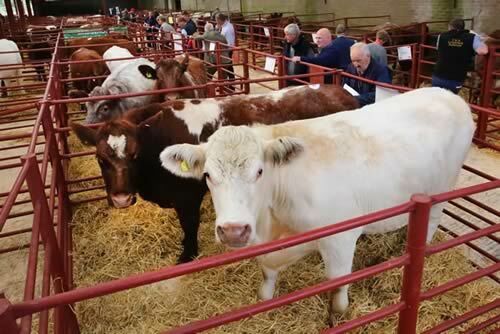 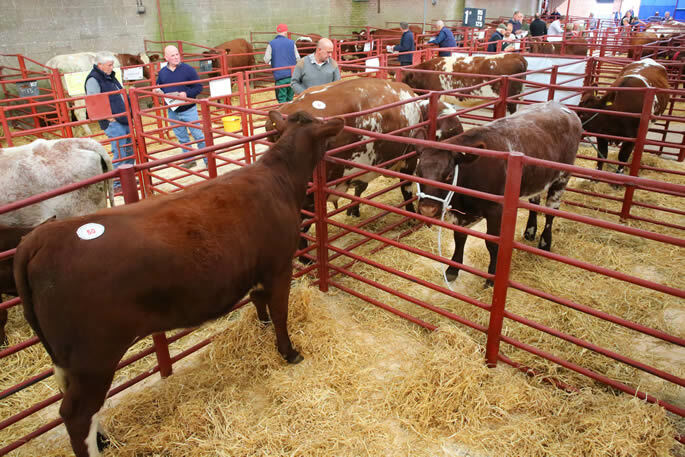 There was a packed ringside with buyers from as far afield as Aberdeenshire, Wales and Northern Ireland. 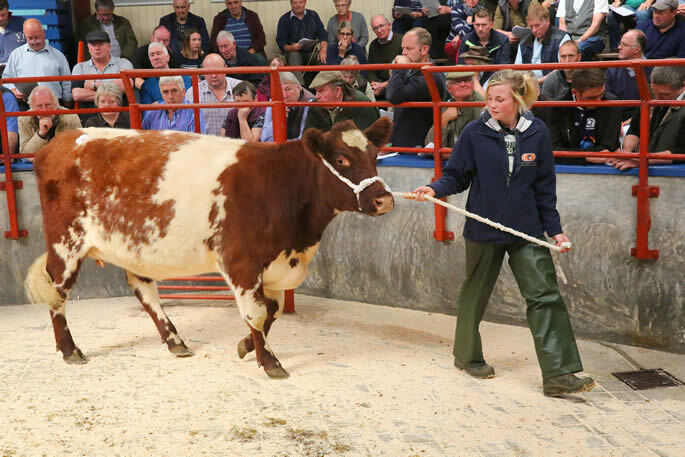 The highest priced animal went to the Isle of Bute with Mr T. McMillan, Eskechcraggan Farm, Rothesay giving 4,700gns for the in-calf Ballylinney Rosette from Mrs L.J. 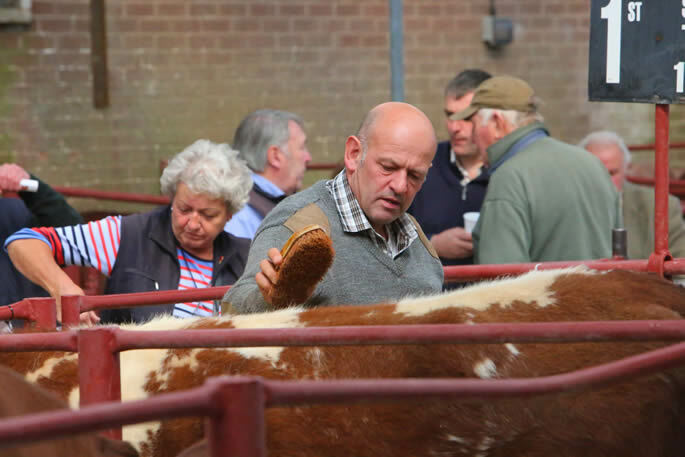 Townsend, Coxhill, Moffat. 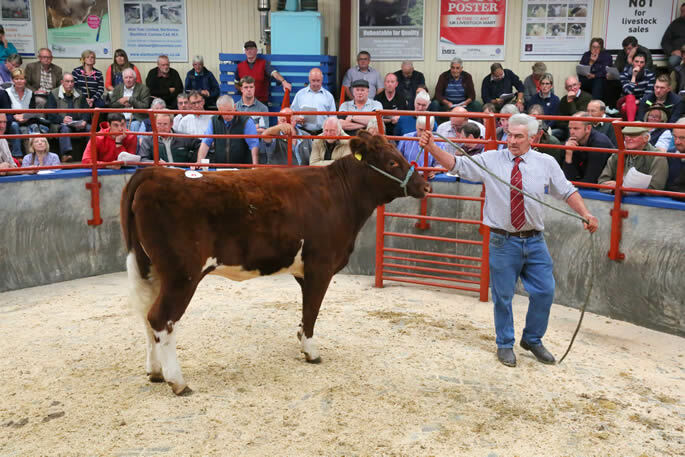 Running with Podehole Frederick, this May 2015 heifer by Fearn Wyvis was one of a consignment of ten in calf heifers from Mrs Townsend which averaged 2,450gns with sales of 3,000gns twice for Ballylinney Josie to G. & M. Smith, Drumsleed, Fordoun and for Ballylinney Tessa to J.S. 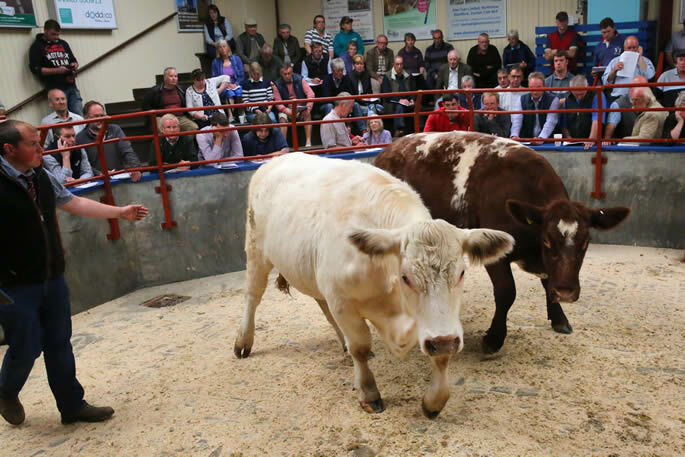 Hamilton, Dundonald, Northern Ireland. 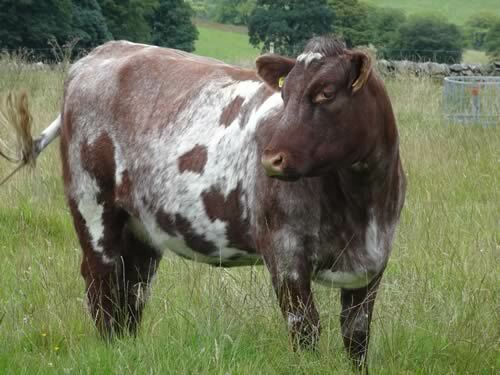 Ballylinney Lancaster Ailsa went to Wales, to E.J. 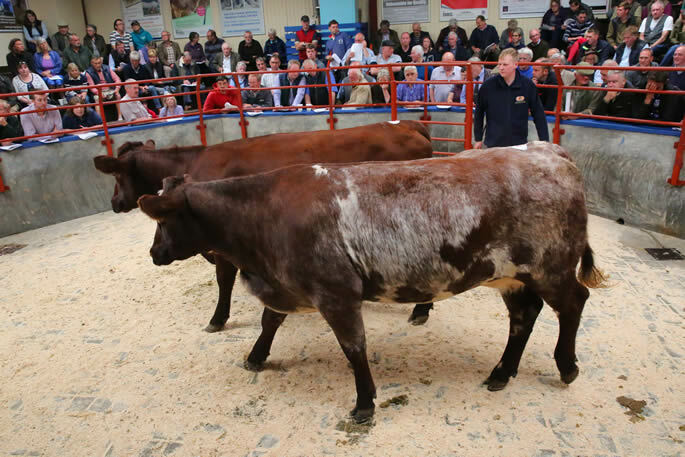 Evans, Llwynhywal, Llanilar at 2,600gns. 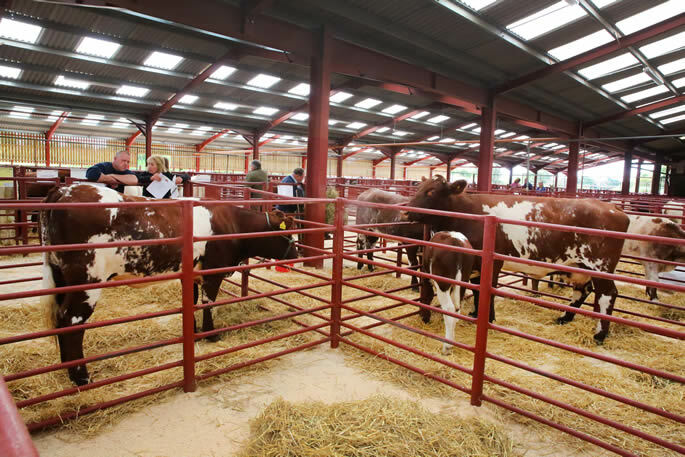 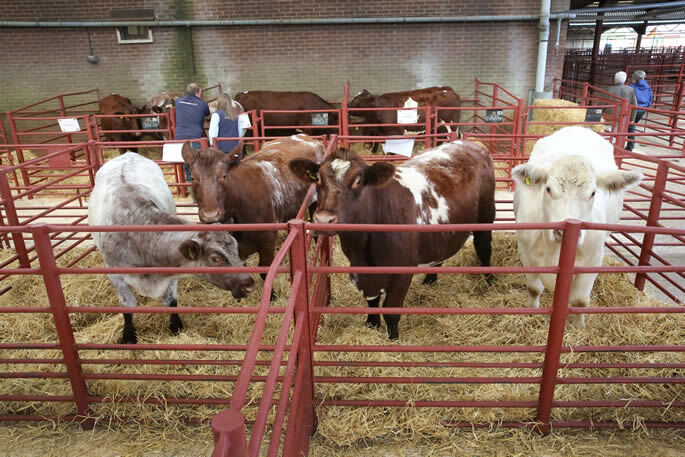 A nice selection of maiden heifers sold to 1,950gns., given by R & J Byers, Whitehill, Walton for Thomson, Roddick & Laurie's Faradale Kimberley by Eurosceptic of Upsall. 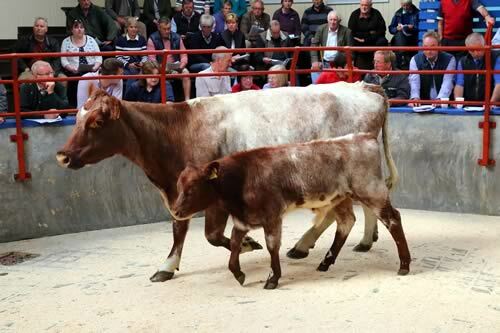 Also in this section, Limelane Katriona Tanzy, from T A & J Swinbank, Brafferton, Darlington realised 1,650gns. 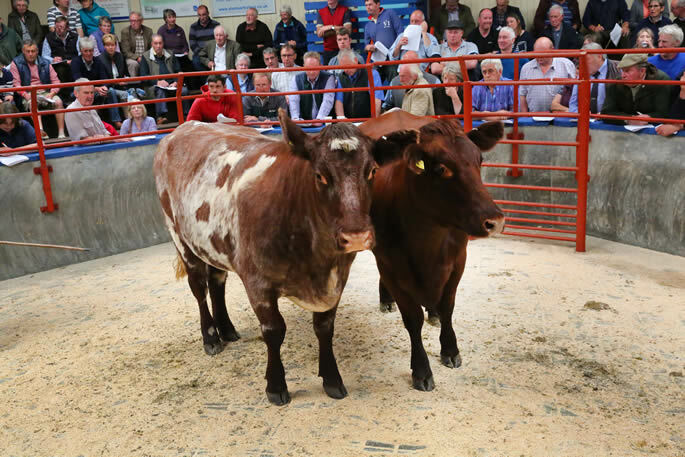 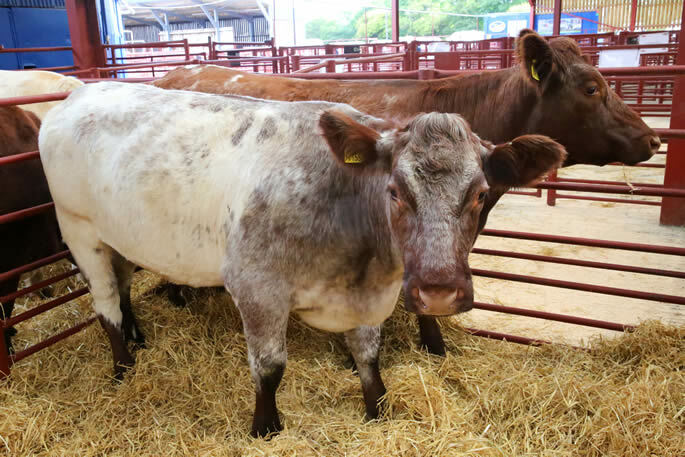 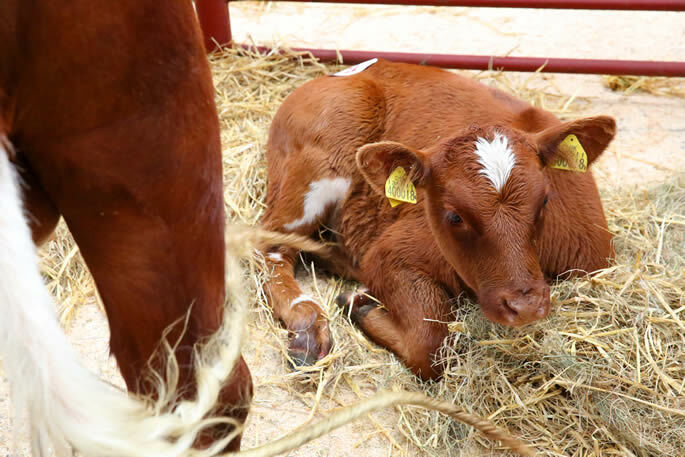 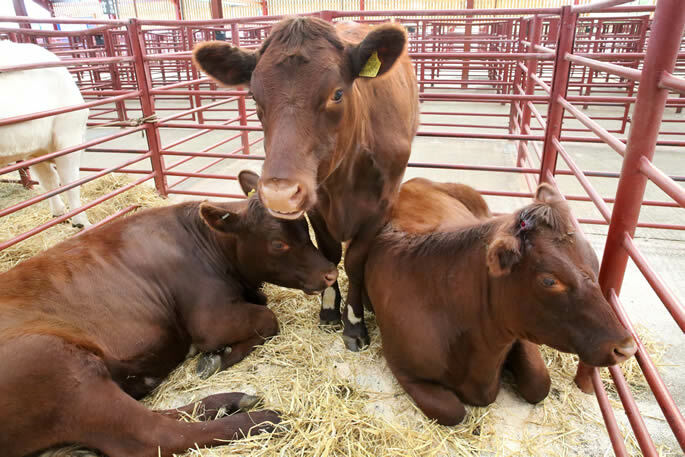 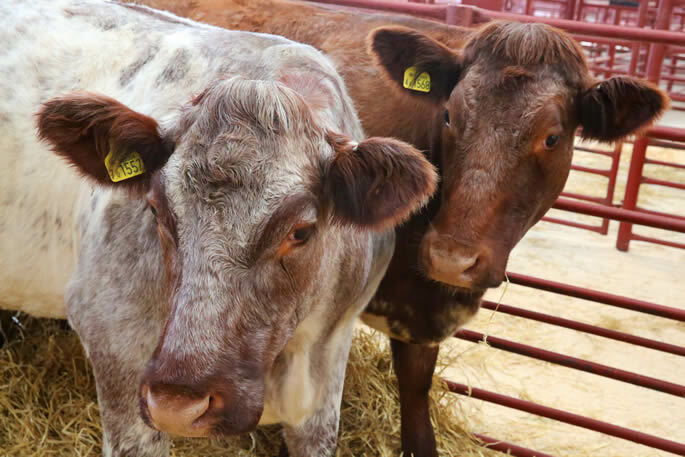 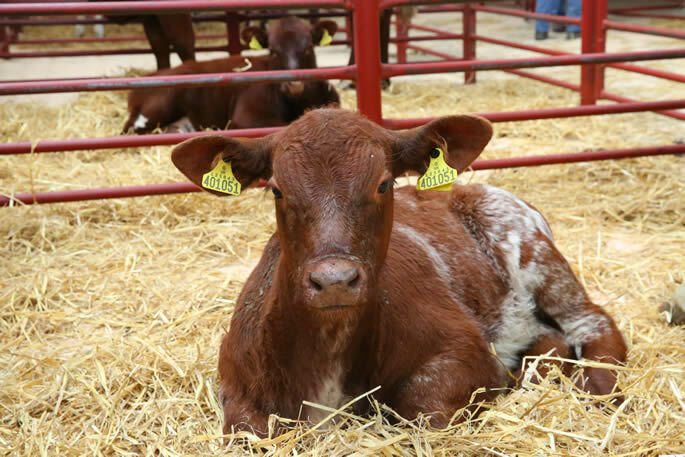 Overall, 33 Beef Shorthorn cows and heifers, in calf or with calves at foot averaged £1,593 and 12 maiden & yearling heifers levelled at £1,242. 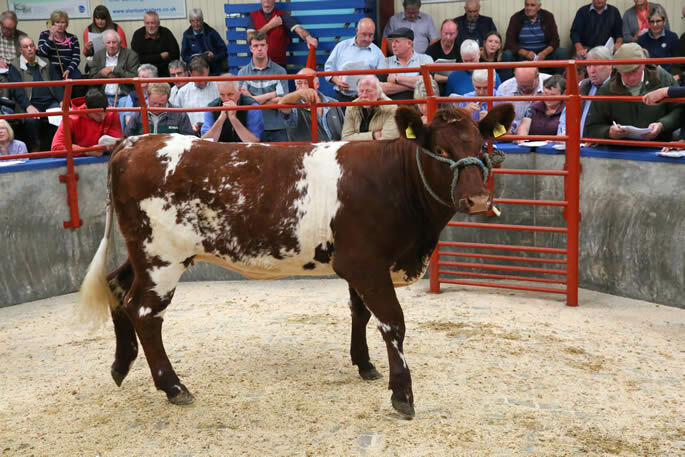 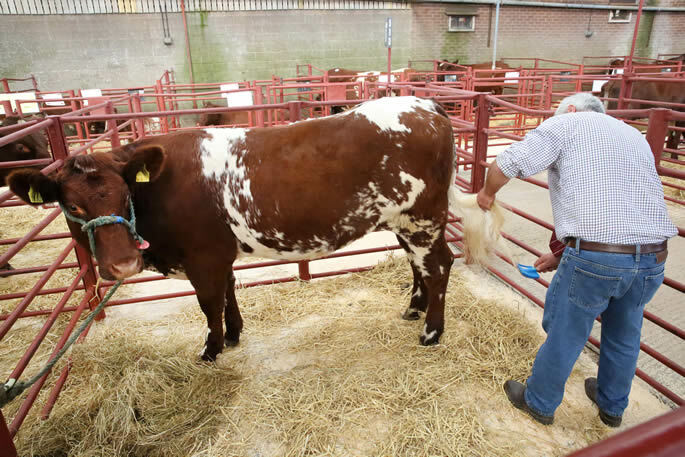 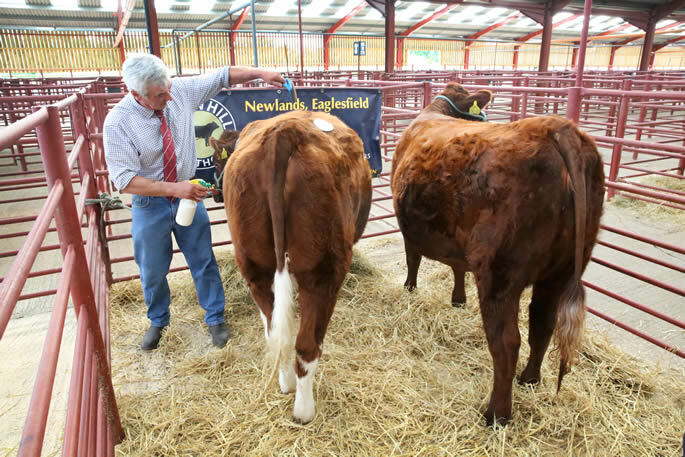 The sale was followed by a small selection of other native breed cattle topped at 1,300gns for a Belted Galloway cow with calf from Mr R Robson, Castlefield, Ivegill.